-- Please Select -- 9:30 a.m.2:00 p.m. This buggy tour in South West Majorca takes you from Paguera to Port Andratx and Sant Elm. The ride leads mostly over dirt tracks and side streets through forests and the mountains. During summer, you will have a swim stop at the Cala Blanca Bay with a gorgeous view of the island Dragonera. In Port Andratx, you'll have fantastic views of the harbour and the sea. On the way back, you will go past the marvellous mountains, where you can fully enjoy driving the buggy in Mallorca and where you'll have great views continuously. Drive a buggy through Andratx and a typical Majorcan village Es Capdella, and return to Paguera after. This buggy tour in Majorca is perfect for cruising and sightseeing at the same time. Starting in Paguera, this Majorca buggy tour takes you to the heart of the island (the spectacular Tramuntana mountains). On the way, you'll visit enchanting mountain villages like Es Capdella, Galilea (the highest village on the island) and Puigpunyent. You continue the buggy tour in Mallorca by passing the old manor house of La Granja in Esporles, going directly on the MA-10 (the famous coastal road) through Banyalbufar towards Estellencs. You will pass the famous restaurant Es Grau and during the whole buggy tour, you can delight in breathtaking views of the Sierra Tramuntana. During summer, you can also stop off at the oldest chiringuito (beach bar) in Mallorca and take a dip in the sea. On the way back, you will drive along the famous west coast road MA-10 via Andratx back to Paguera. Discover the winding roads around the Sierra Tramuntana by buggy! There are 3 buggies on hand (space for up to 6 people), it's possible for bigger groups to join the tour with quads / open jeeps instead. The brilliant buggy tours in Mallorca are very popular, because the half-open buggies are perfect for exploring nature. Satisfy your thirst for adventure on these half-day buggy tours! A buggy is a small, open car with a street licence, so it can be driven on public roads in Mallorca. It somewhat resembles a go-kart - both in terms of looks as well as the driving experience. The first buggy was invented by an American, first as a beach vehicle. It didn't take long for developers to see the potential and that's how they got to how we know them today. On one of these buggy tours in Mallorca, you can experience the nostalgic "go-kart"-feeling while driving on the winding roads on the island. A fun-filled day is in store! Mallorca is more than just beaches and we have experienced this buggy tour! The Tramuntana region is just as fascinating as the small village of Valldemosa. With the buggy through the island was just a great decision, which has only made the whole thing more exciting. Our guide was very nice, we are thrilled. Mallorca ist mehr als nur Strände und das haben wir in diese Buggy-Tour erlebt! Die Tramuntana Region ist einfach faszinierend genau so wie das kleine Dorf Valldemosa. Mit dem Buggy durch die Insel war einfach eine tolle entscheidung, die das ganze nur spannender gemacht hat. Unser Guide war sehr nett, wir sind begeistert. We made the buggy tour Tramuntana & Valldemossa and had so much fun as ever! We have Mallorca met in a whole new way that will stay us unforgettable. Besides the fun factor on the buggies we have traveled and enjoyed until we have reached the romantic Valldemossa the stunning Tramuntana mountains. This place is in itself worth a visit. Besides coffee breaks there was also a swim stop on the tour, which in itself is of course a fun factor. The guides are knowledgeable, super friendly and a friendly team. Thanks for a great day, we&#39;ll be back! Wir haben die Buggytour Tramuntana & Valldemossa gemacht und hatten so viel Spaß wie nie! 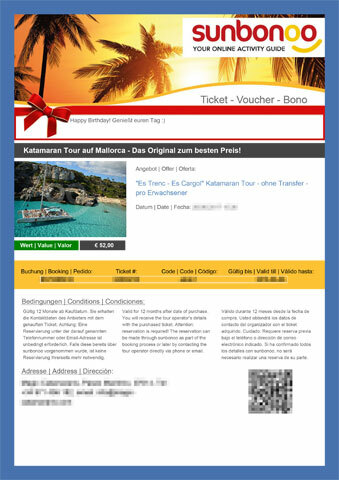 Wir haben Mallorca auf eine ganz neue Weise kennengelernt, die uns unvergesslich bleiben wird. Neben dem Spaßfaktor auf den Buggies haben wir das atemberaubend schöne Tramuntanagebirge befahren und genossen, bis wir dann das romantische Valldemossa erreicht haben. Dieser Ort ist an sich schon einen Besuch wert. Nebst Kaffeepausen gab es auch einen Badestopp auf der Tour, was natürlich an sich schon ein Funfaktor ist. Die Guides sind kompetent, super freundlich und ein sympathisches Team. Danke für einen großartigen Tag, wir kommen wieder! You're reviewing: Jump on a brilliant Buggy Tour in Mallorca: Set off from Paguera. How do you rate this product?